Why Can’t You Purchase Garlic Early Each Year? When can you purchase garlic? You may wonder why garlic is not offered for sale earlier in the year. Having an accurate inventory of garlic before harvest, curing and drying time, cutting from stalks, and weighing is impossible. 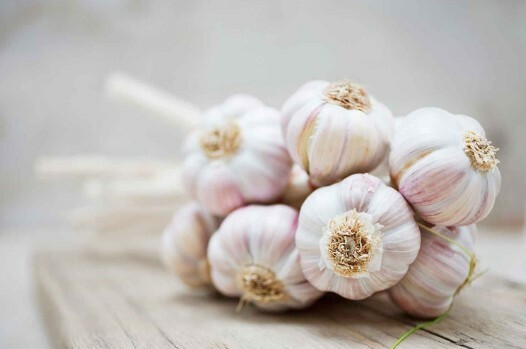 For this reason, seasoned and reputable garlic growers offer a small percentage of their expected harvest for sale to help prevent overselling, and possibly no garlic is for sale until inventory can be completed. Even conservative pre-harvest and pre-curing estimates can be unexpectedly far off the actual total! Growers don’t enjoy canceling orders and disappointing customers, and customers don’t like that either. Most growers do their best, but can’t be held liable for unexpected inventory problems. Garlic may look great and large above the ground while growing, but in some years, even large and gorgeous plants can have a small bulb below ground. Garlic can lose as much as 25% or 30% of its weight and size during curing/drying. Different varieties shrink at different rates during curing. This is another reason to NOT buy garlic from a grower that grades, weighs, and ships less than 3 weeks following harvest! Until the garlic is actually handled individually, bulbs with damaged cloves can’t be accounted for. Damaged bulbs can still get by the best inspector when large quantities must be processed, but during inventory, most are discovered and those bulbs are set aside for non-shipment. This affects inventory quantities, as the damaged bulbs reduce pounds in inventory.